What are your plans for this year's cold and festive season? 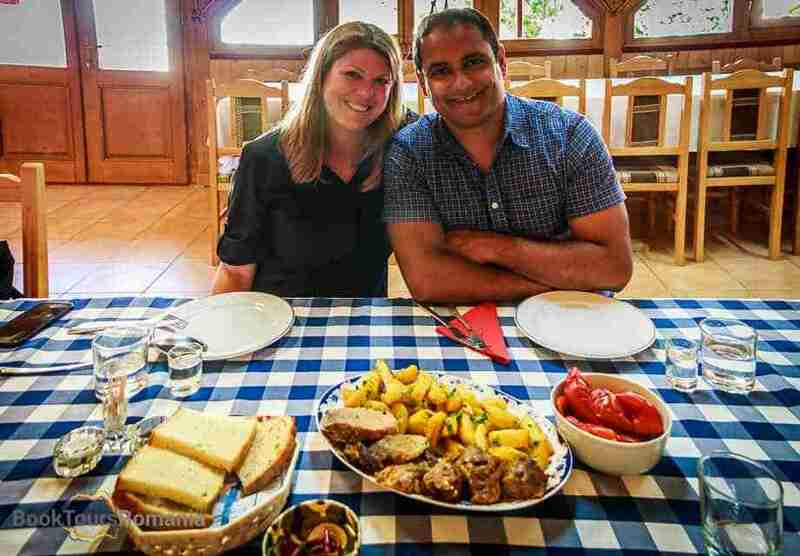 Our recommendation is to have a tour around cities and villages from the famous Transylvania. 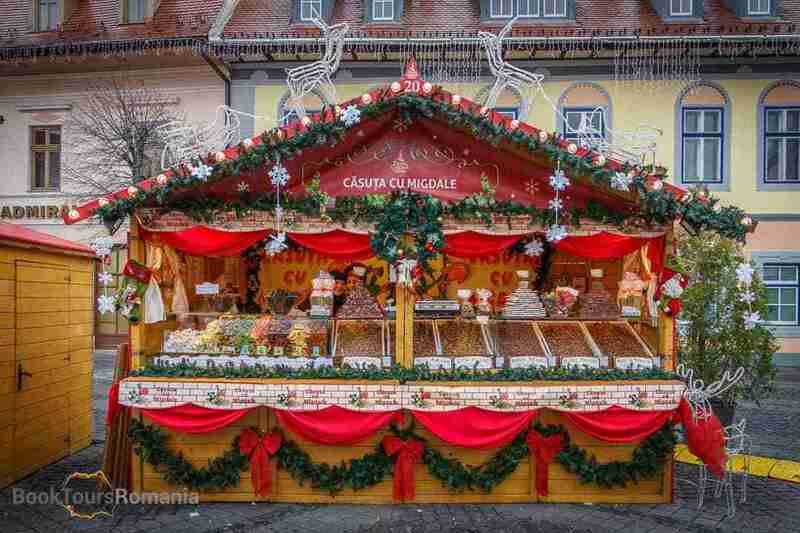 Enjoy Romania's famous Christmas Market, organized in the center of Sibiu city. We invite you to admire the Christmas setting of Sibiu. Drink mulled wine, taste seasonal delights and of shop for special hand-made presents for your family and friends. Corvins’ Castle the greatest Gothic-style castle in Romania. Meet with your tour guide in the morning and head to Transylvania passing through the beautiful Carpathian Mountains. After a 4 hour drive, along different landscapes of valleys, gorges, mountains, we will arrive to Sibiu. 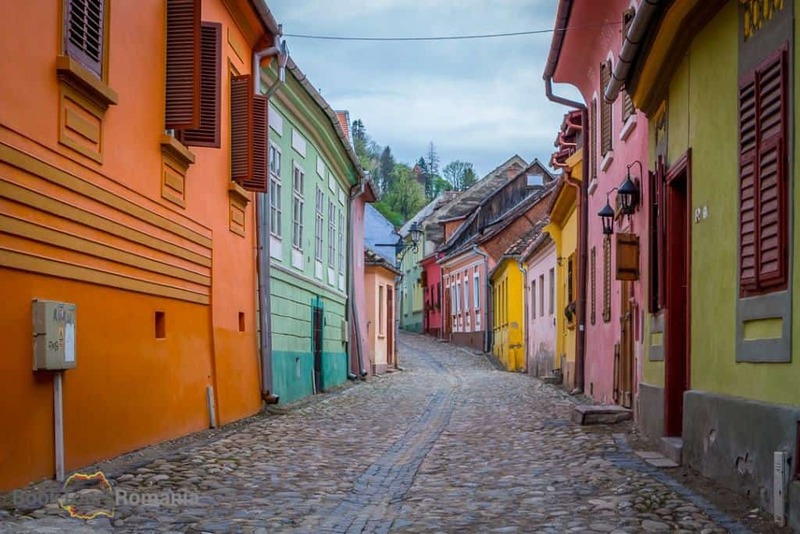 Having a history of over 900 years Sibiu is one of the most elegant cities in Romania. Sibiu is acknowledged as the European Capital of Culture in the year of 2007. The historical center of Sibiu is today the largest medieval urban assemble in Romania. This year the Christmas Market in Sibiu starts on the 20th of November with a special opening which will be taking place in the Big Square. For over a month, locals and tourists can find in the 70 cottages that bring together exhibitors from across the country with carefully selected products. In the evening you will be visiting the largest and most popular Christmas Market in Romania and will indulge yourself with mulled wine and ginger bread. You will be accommodated in a 4**** centrally located hotel with breakfast included. Begin this day with a walking tour in Sibiu which will introduce you to the main sights of the old city. Learn about the history of Transylvania and see how the city evolved over the centuries. Then you venture out to the country, to discover one of the most marvelous castles from Romania, a unique 15th century military architecture monument. Corvins’ Castle is the greatest Gothic-style castle in Romania which features a splendid Knights’ Hall, a solid drawbridge, inner courtyards, a chapel and many rooms. On the way back to Sibiu you will discover a typical Transylvanian village and the nostalgic peasant universe, where nature, tradition, culture and hospitality of the locals blend harmoniously. Sibiel village continuously evolved over the years, today being an emblematic village of the Sibiu’s surroundings with hardworking and proud people who have managed to preserve traditions, habits and Romanian traditional cuisine. Enjoy the charming natural scenery and the fresh air of Sibiel. Also, visit the largest museum of icons on glass in Europe, which attracts thousands of tourists with its impressive collection. After you visit this fascinating museum you will have the opportunity to be delighted with a home hosted meal in a local guesthouse. In the evening you will get back to Sibiu and have free time to do more Christmas shopping for your family and friends. In the morning you will leave behind the beautiful city of Sibiu. 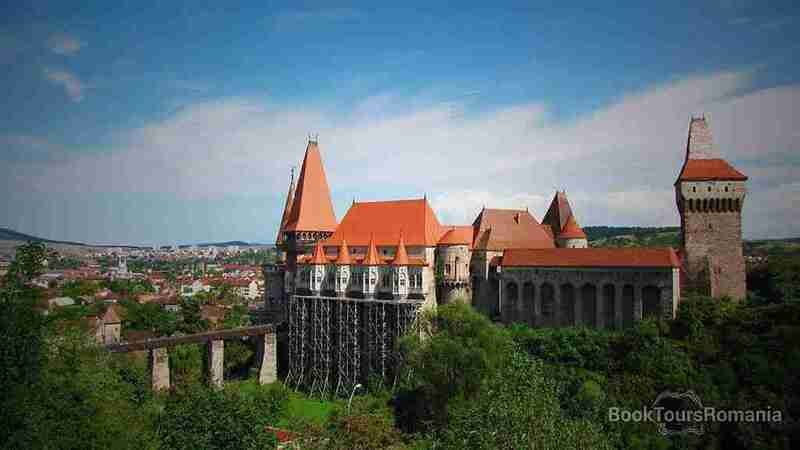 You will head to Sighişoara, the most famous citadel in the county of Transylvania. Before you get to Sighişoara, you will stop to a simple yet well preserved fortified church situated right in the center of Axente Sever village. Here you will visit the church and the museum and also see rooms specially designed for tourists, situated right in the fortification wall. Afterwards, on your way to Sighişoara you will have the chance to enjoy the beauty offered by the simple countryside, passing through small and full of life villages. Since 1999, Sighișoara is listed in the UNESCO World Heritage. it is considered as one of the best preserved medieval cities of Europe. The city was built by the Saxon colonists and today is the only inhabited citadel in Europe. In Sighişoara you will definitely fall in love with the charm of the narrow cobblestone streets and the colorful houses. In order to catch the essence of this unique citadel your guide will organize for you a walking tour that will take you to the most important sights: the Citadel’s Square, the Clock Tower, the Scholars’ Stairs as well as Dracula’s birth house, probably the most famous house from Sighișoara. Later you will leave Sighişoara and you will head to one of the most visited cities in Romania, the unique Braşov city with its special medieval ambiance. In the evening you will have free time at your disposal in order to explore the streets of the city at your own pace. 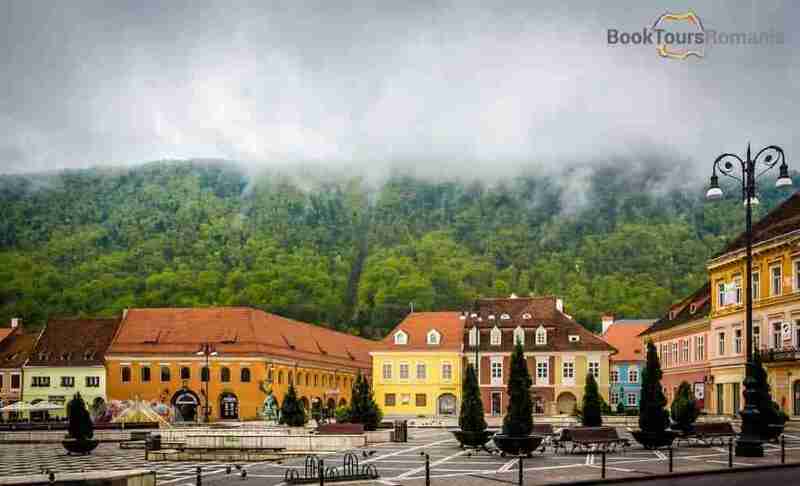 In the morning your private guide will offer you a detailed walking tour of Brașov old city, giving you the chance to better observe the architecture of the city and to hear interesting stories about the main landmarks of Brașov. Touring in this Transylvanian city you will have short stops at the most popular attractions such as the Black Church, the largest Gothic church between Istanbul and Vienna with its impressive pipe organ. The rest of the tour includes the Council Square, Rope Street – one of the narrowest streets in the world, Catherine’s Gate – the only original city gate to have survived from medieval times, the Black Tower, the White Tower. Later you will depart for Sinaia the most beautiful mountain resort in Romania. 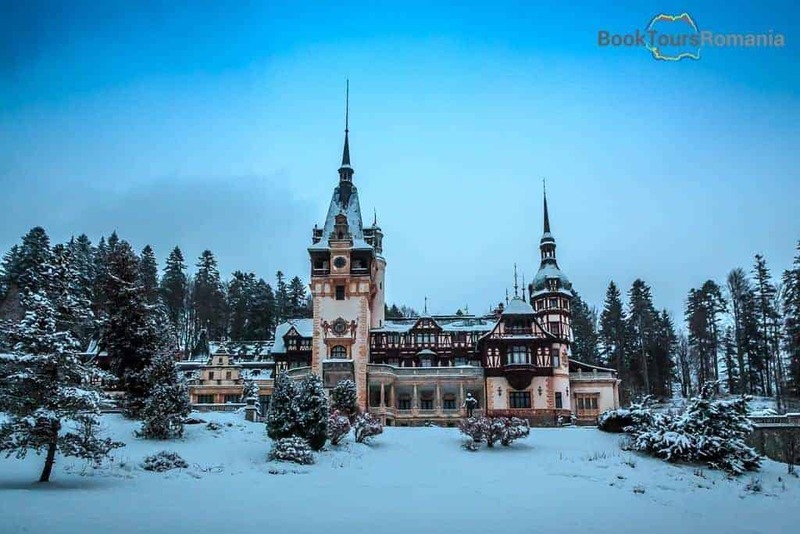 Here you will be delighted by the mountain scenery and by an architectural gem, the Peleș Castle. This exquisite castle is surrounded by a gorgeous scenery that will impress you no matter the season of the year. After you visit the interior of the Peleș Castle considered as one of the most visited landmarks of the country, you can enjoy a cup of hot wine in the surroundings of the castle and then have a short walk around the city center of this small and cozy mountain city. In the end, after 4 days of discovering small villages, medieval towns, an unique citadel, getting more of your Christmas shopping done and enjoying seasonal delights, you will be heading to Bucharest. Your tour will end in the evening and your guide will drop you off at your hotel. A private tour with us means a special focus on your interests and desires, allowing you to travel in comfort. 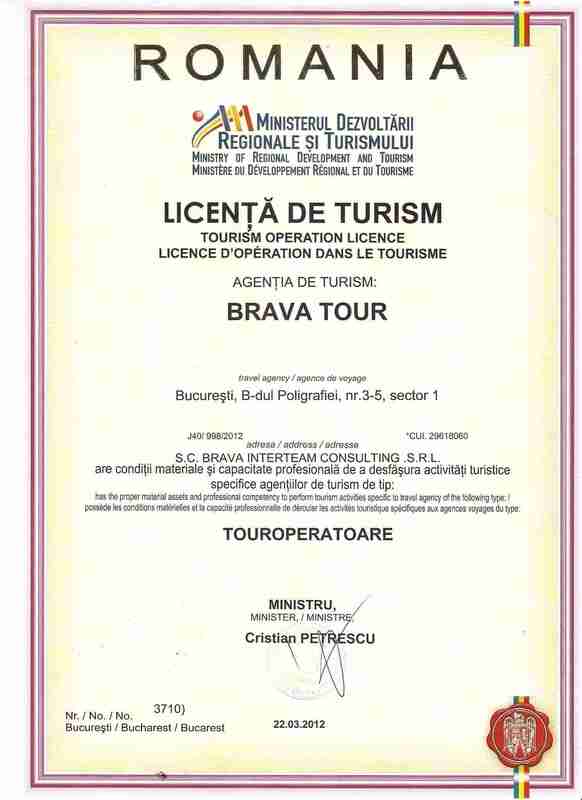 Therefore, our Transylvania winter tour is very flexible, and can be changed according to your availability and requests.